IRELAND BOSS MARTIN O’Neill will sign a new contract “within days,” according to FAI chief executive John Delaney. The 64-year-old coach’s future has been the subject of much speculation in recent months, after he guided the Irish team to Euro 2016 and helped them reach the last-16 stage of the tournament in France. Before the Euros, the FAI confirmed that O’Neill would be staying on in his role, but confusion arose after it emerged the Derryman had not signed on the dotted line despite previous assumptions to the contrary. However, speaking at Sport Ireland’s Field Investment Announcement today, Delaney confirmed that it was a matter of when not if O’Neill would sign the contract. “There are no issues about that,” he said. “Before the Euros we announced, with Martin, that the management team’s contracts would be renewed and that they would be staying with us through the World Cup qualifiers. Email “Martin O'Neill is finally set to sign a new Ireland contract”. 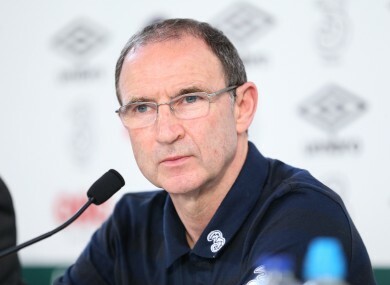 Feedback on “Martin O'Neill is finally set to sign a new Ireland contract”.